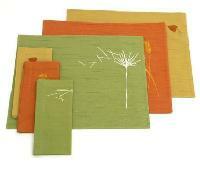 Packaging Details : To be wrapped with plastic , & then arrange one by one inside a thick Carton box. 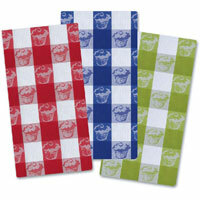 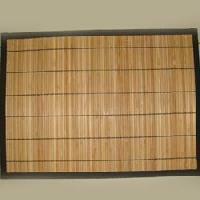 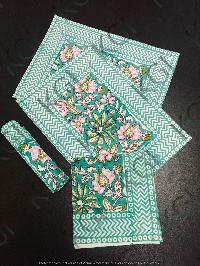 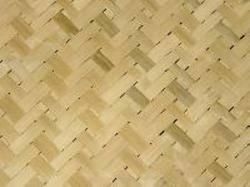 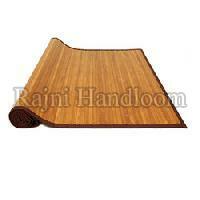 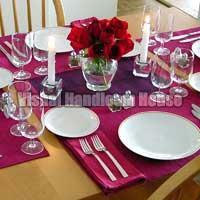 Our company is offering a wide range of bamboo table mats to our clients. 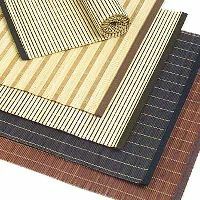 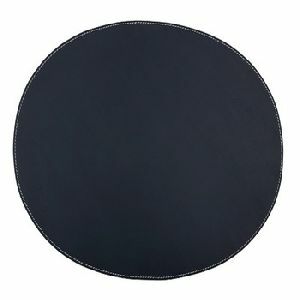 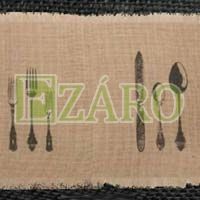 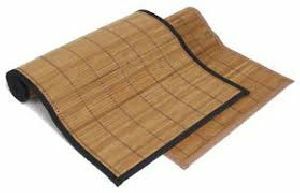 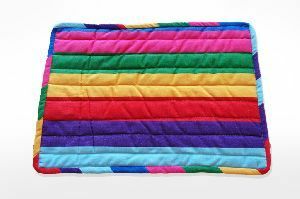 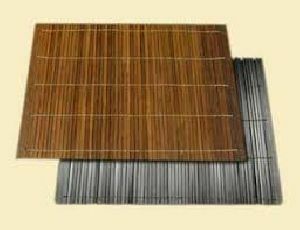 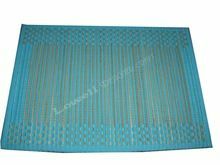 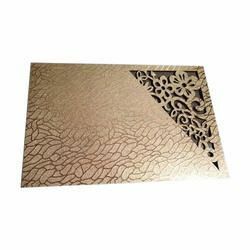 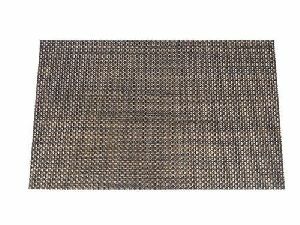 We ensure that the bamboo table mat is offered by are having long lasting solution and the use of blended cotton finishing and eye catching patterns and colors ensure that it has an impressive look and feel. 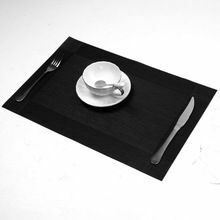 Used across in cafes, hotels , restaurants and homes. 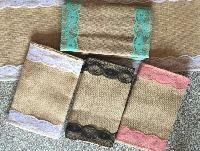 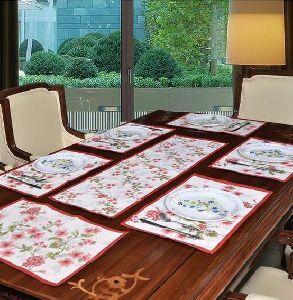 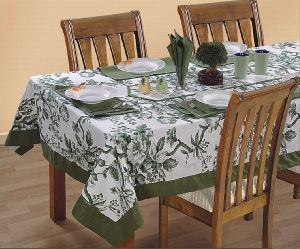 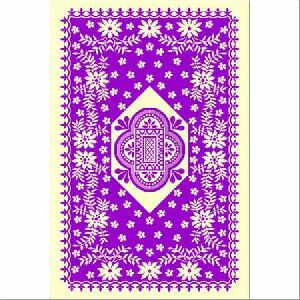 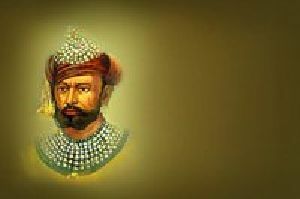 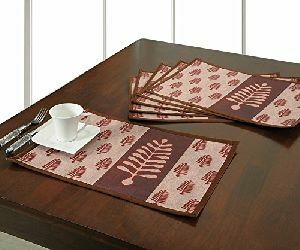 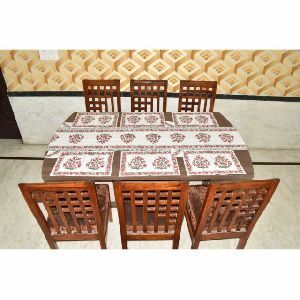 Marshal export manufactures complete range of Table Linen like Table Cloth, Place mats, Table Runner, Napkin, Tea Cozy, Bread Basket, Bread Bag, Natural Fiber Mats (Bamboo, Chamboo, Tweed), etc., Table cloths with embroidery, applique work, hand-painting and traditional patterns are manufactured in pleasing colors to suit your needs. 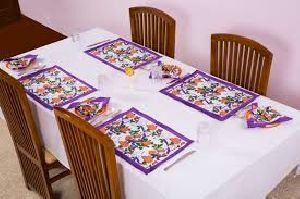 Use : Hotel, restaurant, bar etc. 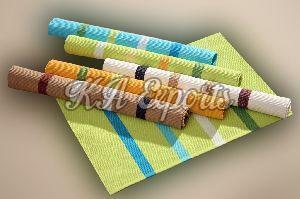 Certifications : We are working in this industry since 5 years. 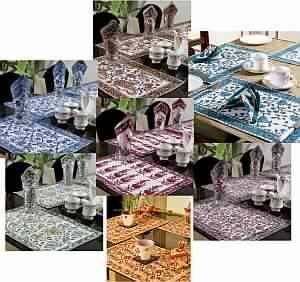 Color : Blue, Black, Brown, etc. 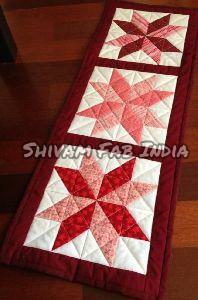 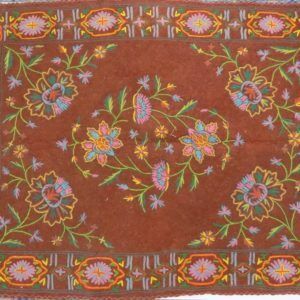 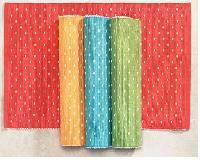 Hand work : Patch Work use in Namda rug like one half Shikara there might be two color used. 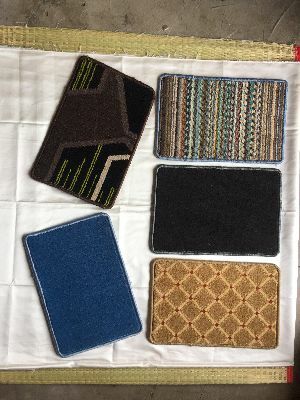 Material Use : 100% Wool Used.